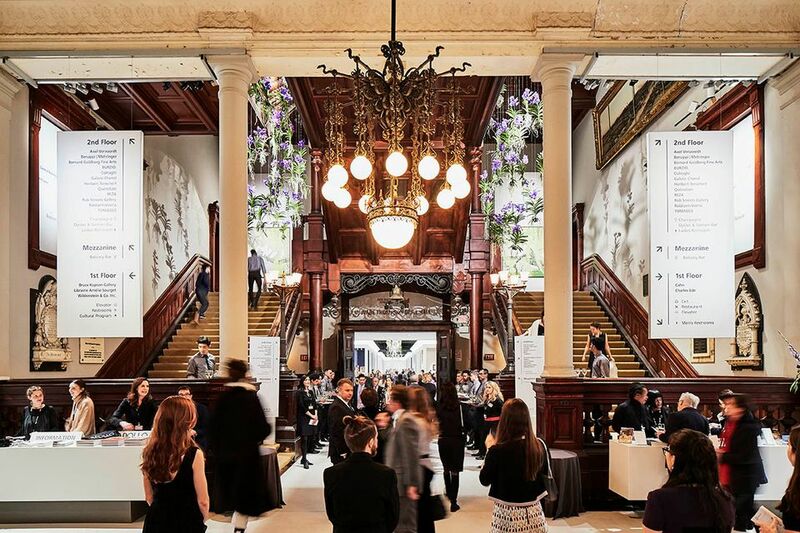 Art-induced whiplash: So it went with the fall 2018 edition of Tefaf New York, the little sister to “the Olympics of art fairs,” as I overheard one dealer at the Friday (26 October) “First Look” vernissage say of the Big Daddy fair in Maastricht. Here at the Park Avenue Armory, however, instead of actual masterpieces, you mostly saw what just looked like masterpieces. Naturally, there were authentic gems to behold at the 93 exhibitor stands, like the diamonds, emeralds, and other precious stones set into adornments for neck, wrist, hand and ear. Unlike the spring Tefaf New York, which gives a passing nod to Modern and contemporary dealers, this one is heavily weighted toward the European and the decidedly antique. Browsers could whipsaw their way down the carpeted aisles and take in Roman, Chinese or Mayan antiquities, Delftware, Meissen porcelains, silver platters galore, medieval altarpieces, Italian Renaissance portraits, Japanese prints, Netherlandish still lifes and Post-Impressionist and American realist paintings. Here and there, such incompatible wares were together in just one or two booths. Although this is only the New York fair’s third year, some seem to reappear each time. It was cocktail hour, and the swells were swilling Champs and noshing hors d’oeuvres laid out on tables evenly spaced between makeshift bars on the three crowded ground-floor aisles. I didn’t think the chips were all that big. Looming much larger, at the back of Hirschl & Adler’s stand, was Gilbert Stuart’s resplendent full-length portrait of George Washington. That was a surprise. The painting used to hang in the New York Public Library, which deaccessioned it, unfortunately, about ten years ago. 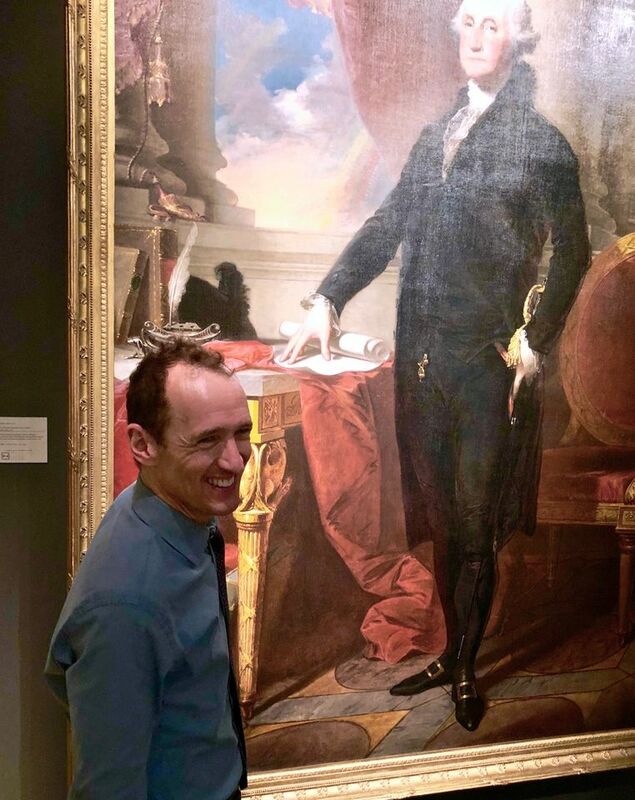 One interested party was the Broadway producer Jeffrey Seller, who was “geeking” around with the art consultant Yvonne Force Villareal. “I produced Hamilton,” Seller told the delighted dealer on hand, “so this is really meaningful for us.” Evidently, the price (upper millions) was not. “I don’t know much about what came before the postwar period,” Villareal said. “So I come here to learn.” A few minutes later, she and Seller were taking a long look at a portrait by Chaim Soutine at London’s Richard Nagy. Considering their rarity and presumably limited supply, illuminated manuscripts had quite a presence. At least three different dealers brought them, and they were beautiful. Rare book dealers can find an audience here, though when I stopped into a library set into an alcove by the Parisian antiquarian Librairie Amélie Sourget that contained at least one half-million-dollar volume of stylish costumes from the reign of Louis XIV, no one else was there. Their bad luck. This is a market ripe for exploitation. London’s Robilant + Voena upped the Old World ante with an exhibition titled “In Pursuit of Caravaggio.” A very 20th-century ceramic twist by Lucio Fontana hung between two 16th-century Italian paintings. The only link I could discern between the artists and the ghost of Caravaggio was their nationality.